With so much going on here at any one time, it can be hard to keep track of all the top-quality performances that our actors, musicians, designers and stage managers are getting involved with. As a hub of creative activity, our students are masters at collaboration. We’ve condensed this summer’s performances down to 12 must-see events from students of all disciplines. From puppetry shows at the National Trust’s Dyffryn Gardens, a re-imagined Sweeney Todd, to a 5-day jazz festival- we’ve got something for everyone. Tickets are available now on the College website. Composers from the Royal Welsh College of Music and Drama come together for this all-day festival of contemporary music. Immersive soundscape installations with explorations of sound, light, live and electronic performance – this mixture of free and ticketed performances from current and past students is not to be missed. 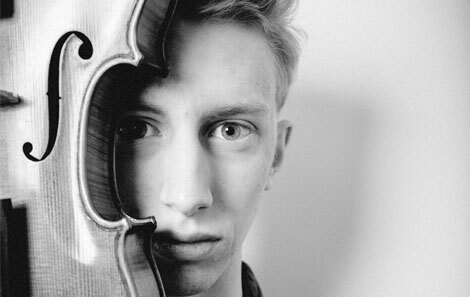 Previously covered on the #RWCMD blog, distance learner Gawain Hewitt will be performing an all-day, interactive set, which he has performed at Tate Modern. Why you shouldn’t miss it: Contemporary and eclectic, see what up-and-coming composers are working on with guest spots from our graduates. 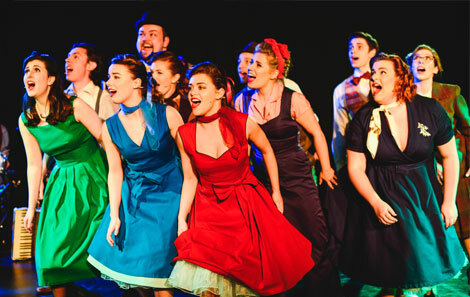 Musical Theatre students have 2 minutes each to wow the audience in this annual showcase. Public audiences are joined by casting agents and industry insiders for performances in Cardiff and London. Why you shouldn’t miss it: Catch tomorrow’s West End stars right at the start of their careers in this dazzling Showcase. Three plays from our very own Richard Burton Company – a rep company made up of final year students in acting, design and stage management. See Last Days of Judas Iscariot, Image of an Unknown Woman and Three Days in the Country, and watch our final year students in their last College performances. Why you shouldn’t miss it: This year we’ve got even more industry collaboration: Elinor Cook, writer of Ten Weeks for RWCMD’s NEW: 2016 returns with Image of an Unknown Woman. Eleanor Rhode, director of RWCMD’s One Man Two Guvnors last year returns to direct Three Days in the Country. If you’ve ever enjoyed AmserJazzTime in the foyer on a Friday night, make sure you don’t miss this annual 5-day festival! Acclaimed jazz professionals join RWCMD young artists for one very cool week of music. Why you shouldn’t miss it: Past and present students are given their time to shine. 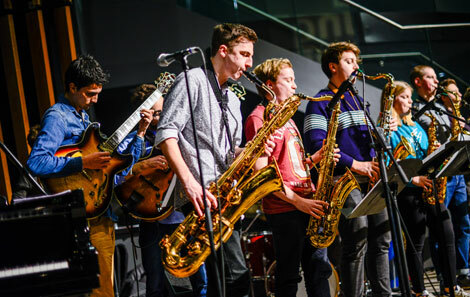 Futures sees graduates perform sets from their latest recording and projects, and The Residency gives all current jazz students centre-stage in the cosy Richard Burton Theatre. Three lunchtime recitals accompany BBC Cardiff Singer of the World 2017, from acclaimed international pianist Llŷr Williams to prize-winning vocalists from the College. Hear our singers and musicians perform Britten’s Canticles, a miniature opera, and the “love song waltz’s” of Brahms’ Liebeslieder in these bite-size lunchtime performances. Why you shouldn’t miss it: RWCMD vocalists perform alongside some of the most influential artists around in a week of music and masterclasses. A showcase of the work of final year Design for Performance students, Balance exhibition opens in the College’s Linbury Gallery and Bute Theatre before transferring to the Bargehouse on London’s South Bank. 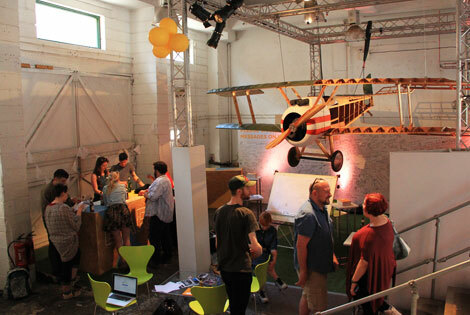 Why you shouldn’t miss it: Balance exhibition is the best work from the College’s design students – get lost among the props, puppetry and portfolios and see the work of tomorrow’s big designers. 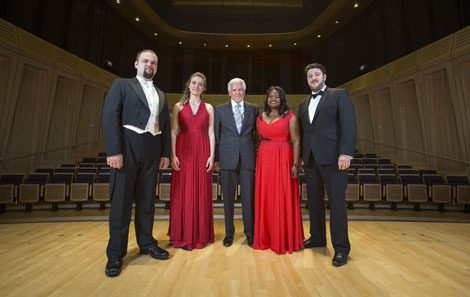 Some of the most talented musicians and vocalists at RWCMD go head-to-head to compete for the Stoutzker Prize, a £10,000 prize for excellence, donated by Ian Stoutzker. 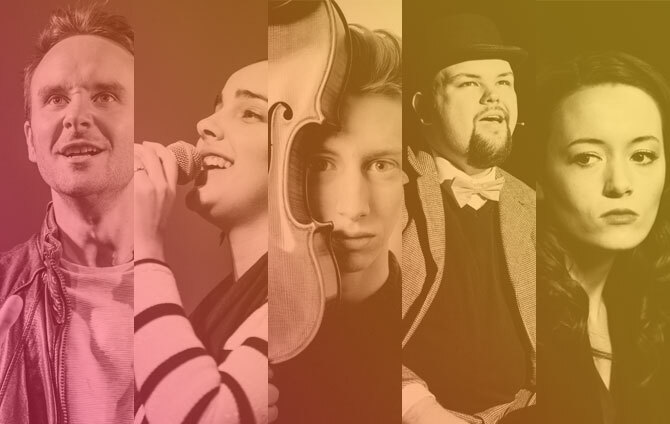 This year’s finalists are Grant Jameson (Euphonium), Charlotte MacClure (Violin), George Fradley (Piano), Blaise Malaba (Bass) and Rhodri Jones (Tenor). Did you know: The Dora Stoutzker Hall at RWCMD is named after the mother of philanthropist Ian Stoutzker, who was a Welsh music teacher. Her picture can be seen on the way into the hall. It’s that time of the year again, when RWCMD musicians take over the wonderful St. David’s Hall for a full symphonic performance. Our musicians come together for an epic concert – this time to celebrate Principal Hilary Boulding’s ten transformative years at the College, before she assumes the position of President of Trinity College, Oxford later this year. Tickets available online from St. David’s Hall. 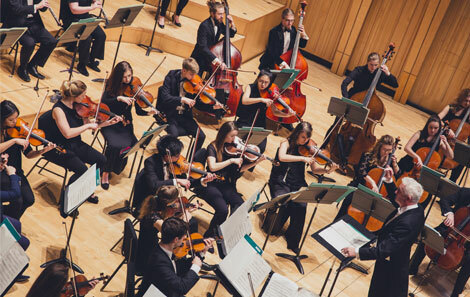 Why you shouldn’t miss it: Three life-affirming symphonic masterpieces will be performed in the world class acoustic of St David’s Hall by the RWCMD Symphony Orchestra. Conducted by David Jones, catch Strauss’ Four Last Songs with soprano Chanae Curtis, Strauss’ Death and Transfiguration and Sibelius 2-Symphony No. 2. Musical Theatre performers return for their last public performance at RWCMD – this fully staged reimagining of Sondheim’s Sweeney Todd. Why you shouldn’t miss it: Musicians, designers and stage managers all collaborate to bring this spin on a classic. Featuring the songs Not While I’m Around, The Worst Pies in London, A Little Priest and By the Sea. 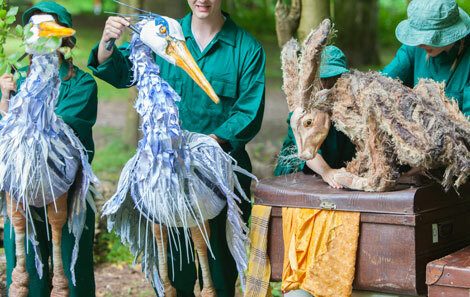 Our annual puppetry show takes this collaborative production to the lush setting of Dyffryn Gardens in this year’s show, The Desert Daydreamer. See actors, musicians and stage managers collaborate with design students, who bring to life their hand-crafted creations in a promenade performance. Why you shouldn’t miss it: How often does the chance come to mix magical puppetry performances with the beautiful scenery of National Trust’s Dyffryn Gardens? Explore your imagination in this visual treat of a show. And keep your finger’s crossed for sunny skies! 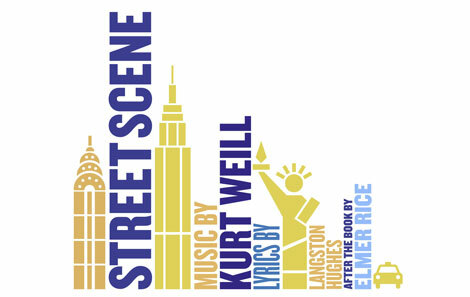 Director Martin Constantine returns to the College for Kurt Weill’s Street Scene after directing Semele last term, which garnered reviews from the Independent, The Guardian and The Times, among others. Tickets available from Sherman Theatre. 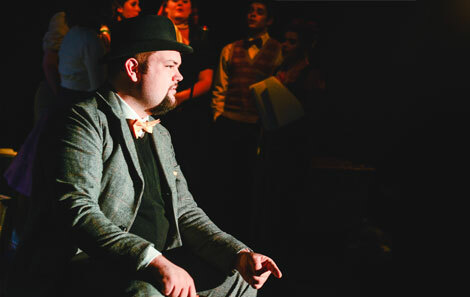 Why you shouldn’t miss it: ‘A synthesis of European traditional opera and American musical theatre’, this final performance of the year from our Opera students promises to be a contemporary affair. Can’t make it to the Edinburgh Fringe this year? Not to worry! 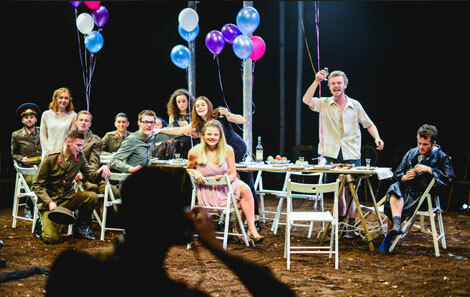 Catch 4 previews at the College instead, including Golf Course War Machine and All That Malarkey by RWCMD alumni. All That Malarkey, The Tale of The Cockatrice and Heartwood then head to Venue 13 at this year’s Fringe Festival in August. 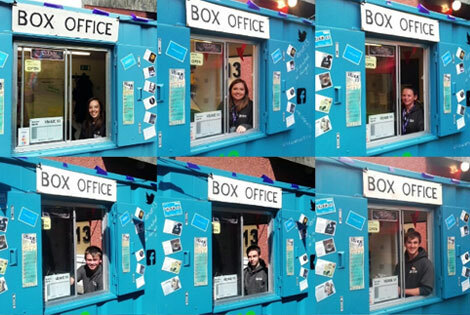 Did you know: RWCMD Stage Managers return to the Edinburgh Fringe Festival for their 21st year (!) of behind the scenes work bringing emerging talent to the masses. 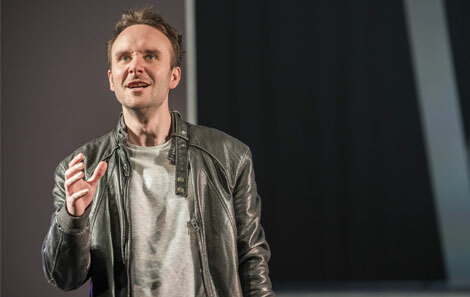 Read more about their busy month of theatre in 2016 to get a taster for this year!